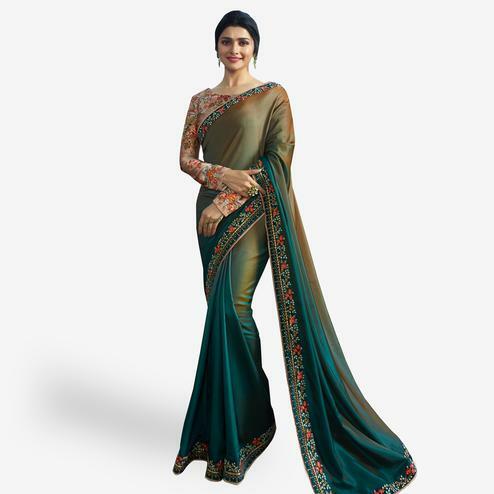 Expect compliments & get praised for your style & choice wearing this green designer saree. 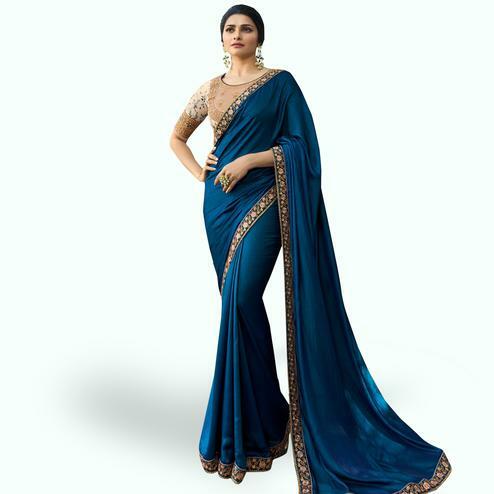 This ethnic piece is made out of georgette fabric and enriched with resham work embroidery and stone work done in the form of floral design and zig zag design lace border which are the main highlights of this saree. Saree accompanied with matching raw silk blouse. Perfect for parties, functions and occasions.